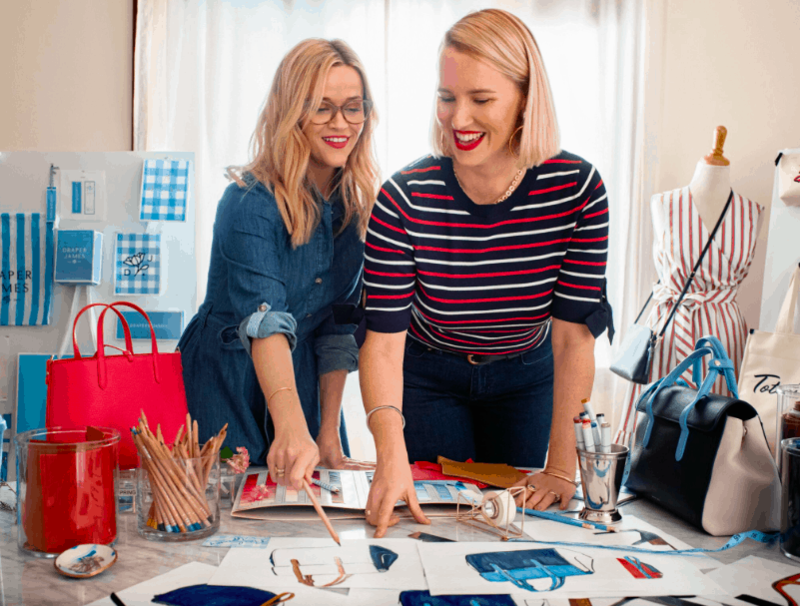 Reese Witherspoon will soon take over another room in the collective American psyche with the launch of her new Draper James bedding collection at Crate & Barrel. The line, aptly called Willow, uses the same indigo blue-and-white pattern as the brand’s kitchenware collection, although sheets and shams also come in solid colors. Duvet covers, pillow shams, sheet sets, and a down lumbar pillow are available at prices ranging from $50 (for a pillowcase set) to $200 (for a King sheet set). Prices like those place the brand firmly in the upscale category, though myriad tiny details could make it worth the cost: pillow shams are dotted with pearlized buttons, ribbon corner ties help close out a 300-thread count duvet cover. Fitted sheets feature 16” pockets to accommodate thicker mattresses, while the white sateen pillowcases feature indigo embroidery stitching. Sateen, in case you were wondering, is a type of cotton woven with spun yarns instead of filament. In fact, all materials in the collection are 100% cotton — right down to the matching drawstring bags that serve as the packaging. For more: Check out our Sateen v. Percale sheets guide! Draper James opened its first clothing store in Witherspoon’s hometown of Nashville, Tennessee in 2015. Since then, the company has opened three more stores and launched multiple partnerships with popular brands including Crate & Barrel and Birchbox. That’s no small feat when you consider the brand might just as easily have never existed at all. Crate & Barrel is no stranger to getting into bed with popular brands. Last summer the company partnered with mattress company Tuft & Needle to bring the T & N Mint to 22 locations across the country, and the company currently sells Tomorrow Sleep hybrid mattresses at their hip little sister store, CB2. Nor is Witherspoon the only celebrity to use stardom as a springboard into a lucrative career in home decor. We’ve explored the phenomenon of celebrities launching their own lines before (Joanna Gaines, anyone? ), but the swift rise of Reese-o-mania shows this bedding trend is here to stay. Featured image courtesy of Draper James.